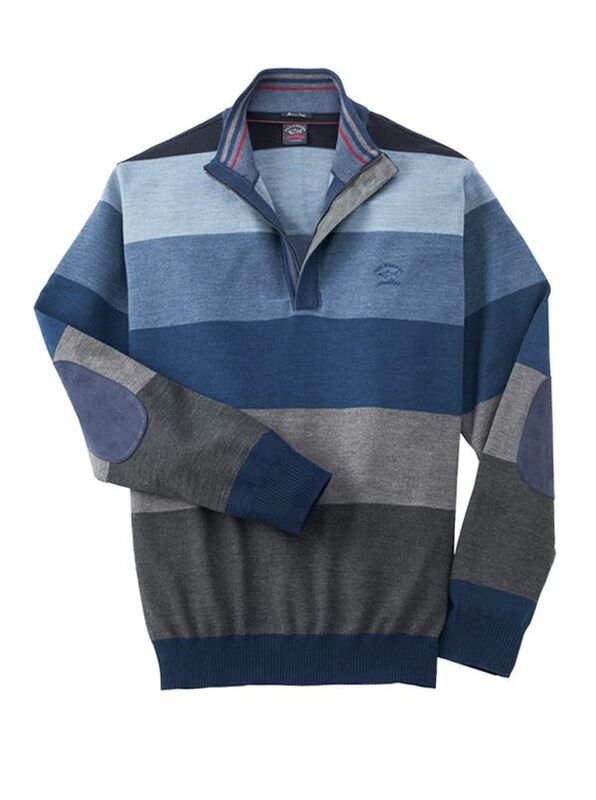 Graduated Panel Quarter-Zip Pullover by Paul & Shark in handsome seasonal shades of lightweight wool. Knitted in Italy with suede trimmed zip placket that buttons over when zipped up for a great mock-turtle. Elbow patches ribbed cuffs and waist.